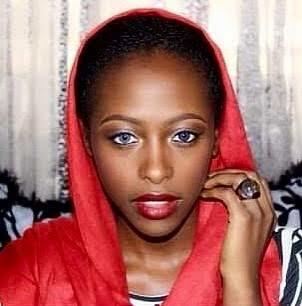 The police on Friday arraigned DSP Inagozie Godwin, who allegedly shot and killed Miss Anita Akapson, a niece of Sen. Nenadi Usman (former Minister of Finance) in an FCT High Court in Zuba. In a criminal charge filed by the Commissioner of Police against DSP Godwin, it was stated that Anita Akapson, 31, was shot to dead on Oct. 13, at about 9. 45 pm, at Katampe, Abuja. The accused pleaded not guilty to the one-count charge of culpable homicide contrary to section 22(3) of the penal code and punishable under section 22(4) of the same code. The court noted that the offence was a culpable homicide and not punishable by death, but carries a maximum sentence of life imprisonment. Consequently, Mr Donatus Abah, the prosecutor requested for a date for commencement of trial of the accused police officer. The counsel to the defendant, Paul Samson, however, informed the court of his client’s bail application, dated Oct. 30, and filed same day. He claimed that the defendant was going through health challenges, thereby presenting a medical report from National Hospital, a travel visa and a certificate of clearance for the accused to travel for medical treatment. Samson also presented a medical report that the defendant was sick. He relied on section 162 of ACJA to persuade the court to grant the accused bail which applies in offences that carry not more than three years sentence. After taking submissions by both counsels on the bail application, the presiding judge, Justice A.O Ebong, admitted the defendant to bail in the sum of N50 million with two sureties in like sum. Ebong ordered that the sureties who must be serving public servants who must not be below the position of Directors, must be resident in their personal houses and must equally swear an affidavit of means respectively. The judge ordered that the identities and particulars of the sureties must be verified by the court. Justice Ebong, in his ruling, held that the court did not grant the accused bail based on the submissions made by the defence counsel with respect to the ill-health of the DSP. He further ordered that the accused must not travel without leave of court and should deposit his international passport and other relevant travel documents to the registrar of the court. Ebong ordered that the accused be remanded in prison custody pending the perfection of the bail conditions. The judge adjourned the case until Nov. 29 for trial. Reacting, human rights activist and counsel to the plaintiff, Kayode Ajulo, kicked against the bail granted the defendant.